2m cloverleaf power cable C5, Schuko 2 pin plug to C5 cloverleaf mains lead. 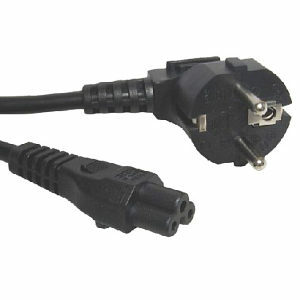 5m Y Power Splitter Cable, UK 3 pin plug to 2x IEC 3 pin plugs (kettle style). Voltage rating 240V AC. Cable type, 3 Core. Colour black. Length 5m. 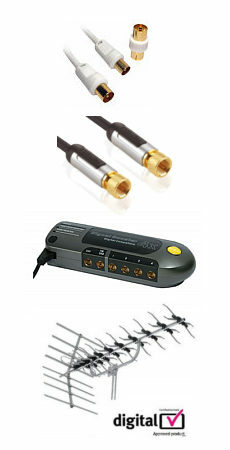 Length to split: 4.5m Length from split to each IEC connector 0.5m. IEC Male C14 to IEC Female C13 250V 10A Connectors Cable type, 3 Core H05VV-F 0.75mm² Core (6 amp) Colour white Length 1m. 5m White Figure 8 Power Lead - Power Cable, UK 3 pin plug to figure 8 connector. Voltage rating 240V AC. Cable type, 2 Core. Colour white. Length 5m.